You can specify to whom you allow (or explicitly deny) the ability to interact with your queue in specific ways by adding permissions to a queue. 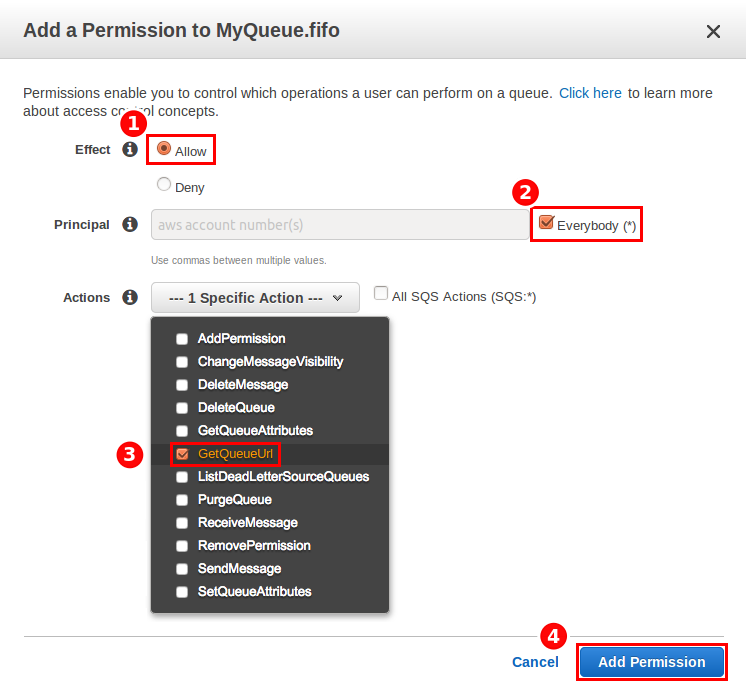 The following example shows how to add the permission for anyone to get a queue's URL. 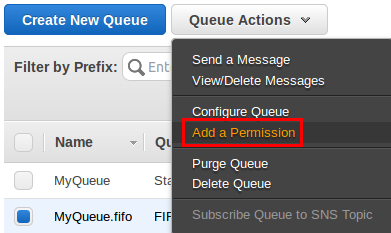 From Queue Actions, select Add a Permission. The Add a Permission dialog box is displayed. Ensure that next to Effect, Allow is selected. Next to Principal, check the Everybody box. From the Actions drop-down list, select GetQueueUrl box. The permission is added to the queue. Your queues's policy Effect, Principals, Actions, and Conditions are displayed on your queue's Permissions tab.